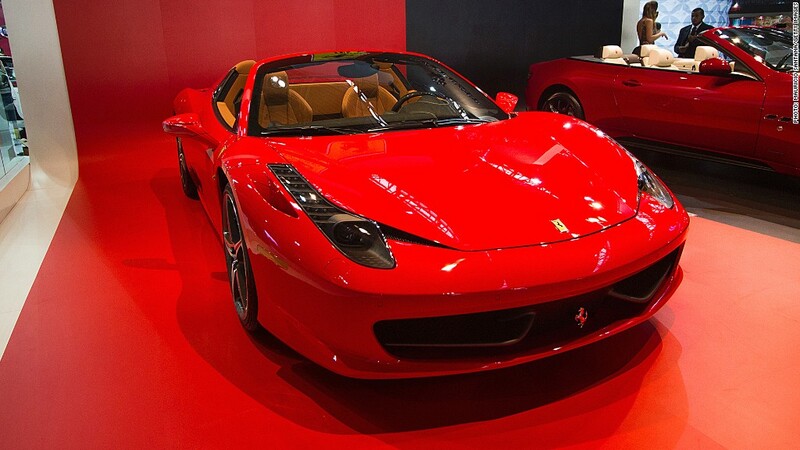 Ferrari is recalling 3,082 of its exotic 458 sports cars in the United States because a defect with an interior latch means there's a danger that someone could become trapped in the trunk. Since the engine is mounted behind the seats, the "trunk" in these cars is in the front. According to U.S. safety regulations, there must be a way to open the trunk of a car from the inside. This helps prevent children -- or anyone -- from getting trapped inside. Usually this is done with a handle that can be pulled inside the trunk. Car hoods, unlike normal trunks, have two latches. There's the one that users typically release from inside the cabin and a second that is released from outside while standing in front of the car. The dual latch system is a safety feature intended to keep the trunk from flying open if it hasn't been closed fully. It's the same with the Ferrari's front trunk lid. The second latch -- the one that, when released, allows the lid to be raised fully -- can't be unlatched from inside.